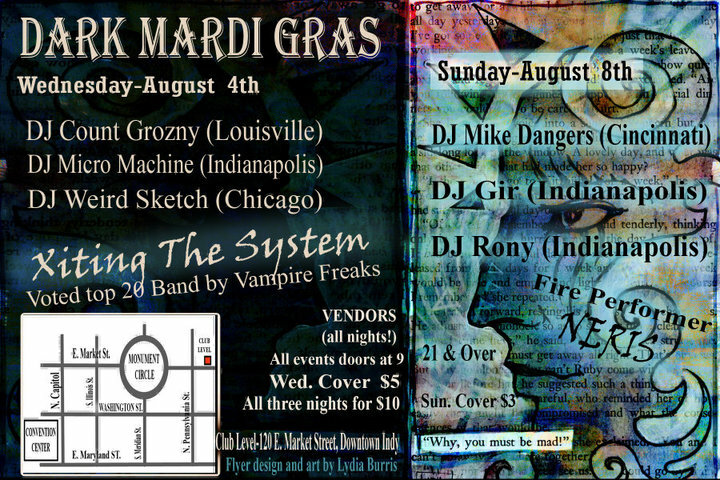 Kinetic DJs Weird Sketch and Sprite will both be spinning parties at this year’s Gen Con in downtown Indianapolis. Sketch will be spinning Wed. Aug. 4th at the Vault/Club level (120 E. Market, $5 cover, 9pm-?, 21+), Sprite will be spinning at Hyde/Blu Lounge on Friday Aug. 6th (20 . Louisiana, $5 cover, 10pm-3am, 21+). There are tons of other great DJs and other events going on during the con. Hope to see you there! ~ by infomorph on July 29, 2010.